I met Fred in Rothley library where I work on the computer every Thursday morning just at the time when he also visits to choose more books for the week as he is a keen reader. I work there adding to the Rothley village website and always on the lookout for new features and village history. Fred is a great source of information and inspiration so it gives me great pleasure to 'Proudly Present Fred'. Fred was born on the 3rd February 1917 in his Great Grandma's house in Belper Street, Leicester and later moving to Dorset Street. He lived for many years in Mountsorrel, moving to Rothley in 1987 with his wife Dorothy. However, his memories of Rothley go back to when he was a young lad as you will see from 'Rothley Memories'. His life as a Fusilier makes great reading and a copy is available in Rothley Library. 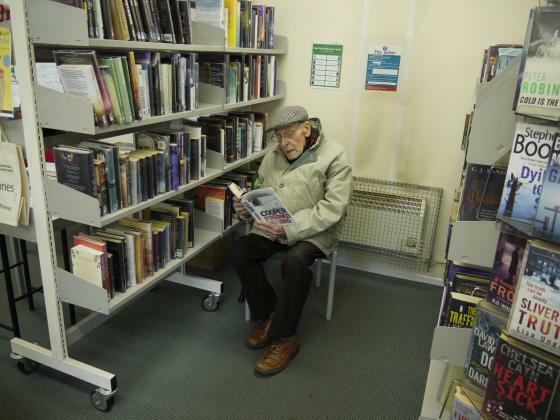 With a lively mind, Fred visits Rothley Library every week for books and still enjoys painting every Wednesday morning as you can see from his Christmas cards. He rescued an old postcard album from his aunt's shed as he could see the history it contained, especially the postcards of London in 1918. Well done, Fred! 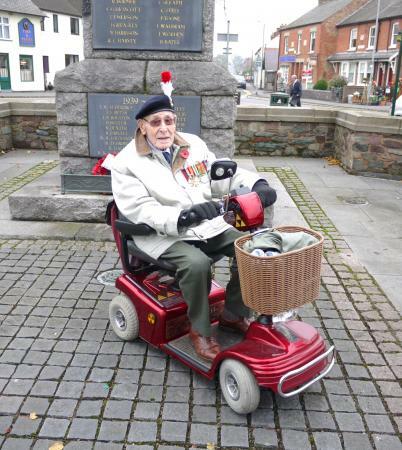 A veteran of the North African Campaign, the 1943 Salerno, Italy, landings and the campaign for Monte Casino. A dear, kind man who will be greatly missed. XHTML 1.0 validated. WCAG compliant. Page generated in 0.2911 seconds.